“Mega-developer Scott Metzner, head of Janus Property Company, beat out 16 competitors in the bidding war for one of the biggest projects — converting the dilapidated 280,000-square-foot former Taystee Bakery factory into a new-age home for startups, eateries and shops. The National Urban League has its own vision for a new headquarters at 121 W. 125th St.
“It’s Harlem’s turn to move into the 21st century,” said Metzner. Yep, that’s Metallica pre-show. 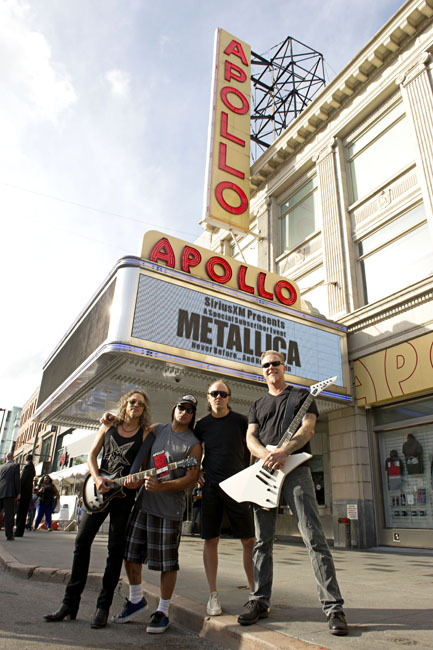 They played to a raucous audience at the Apollo Theatre on September 22.